Halloween is the only time of year when adults take seriously the idea of spending a night in public as someone or something different. Whatever their reasons (e.g. cultural tradition, social engagement, etc. 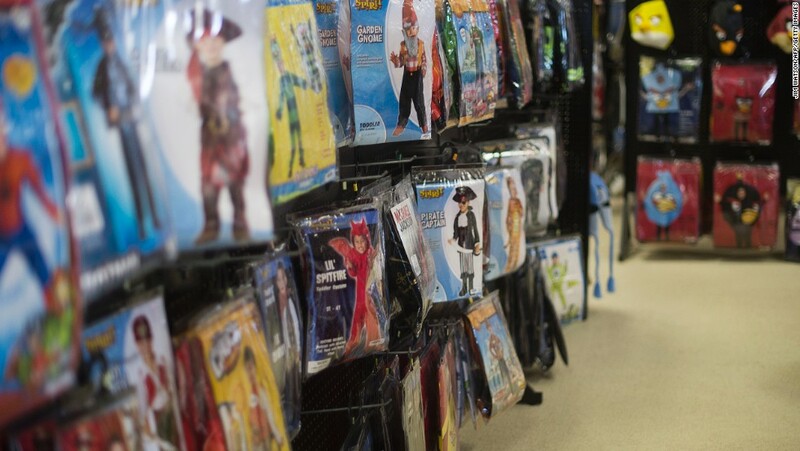 ), they seem to revel in stalking the streets in costumes and cosmetics that they wouldn’t normally where in order to score some candy and secure a good time. Unfortunately, that’s not all that’s at play here. First, we’re living in a world that is seriously becoming anti-Christian. The confluence of activity among atheists and jihadists is something the world hasn’t seen since the late 1920s. Thus, dressing up like a demon or an axe murderer doesn’t seem so funny when you think about what’s really going on out there. Second, and even more importantly, Christians are already people who are something different. Through the Incarnation and Resurrection we have been given a share in the divine life of Christ. And through the sacraments, we are assured of a life spent in intimate union with God. Now, I know these are awfully tough statements to be using about a simple secular holiday, which lasts only a few hours. But we Christians spend so much time trying to be like the culture that we live in, that we don’t seem to look a whole lot like Christians anymore. To be clear, I do not mean here that we Christians ought to be trying to enforce a puritanical law on people, but rather, to be demonstrating more and more outwardly what it means to be a Christian. Think about what he is saying here. We are a people of faith. We are people who have faith in Jesus Christ. We are people who, through our Lord and Savior, are no longer slaves of anyone or anything else. So, why would we act like it? Again, I don’t mean that all of us should live in secluded communities where no one gets in or out. But to paraphrase St. Paul, have we really “put on Christ” at home and in the world. Thus, with Halloween’s claims on adults to try and be something different – perhaps tonight is actually a good night to try on a truly different costume, one that you already own. In the words of St. Athanasius: God “became man that men might be made gods” (Athanasius, On the Incarnation, 54). Let’s start looking the part. So, during this year of faith, please ask yourself this: do I believe there are truly diabolical forces in the world? Am I making it easier for myself and others to overlook them or accept them? Do I put on Christ so that all of the world can see? Do I live my Christianity every day? Am I choosing the right costume?